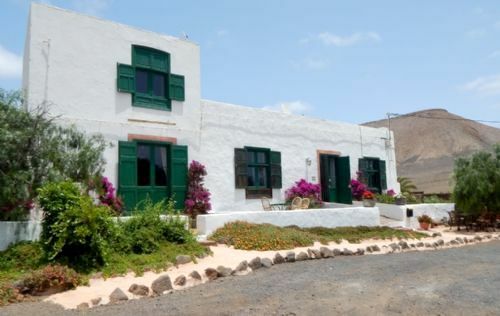 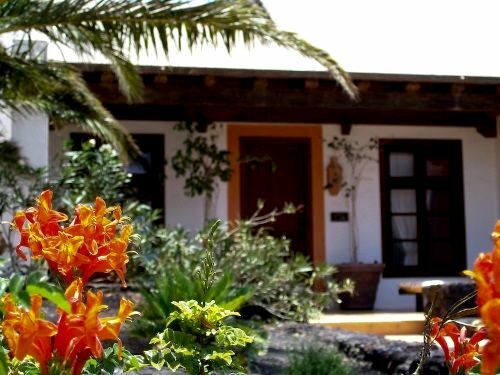 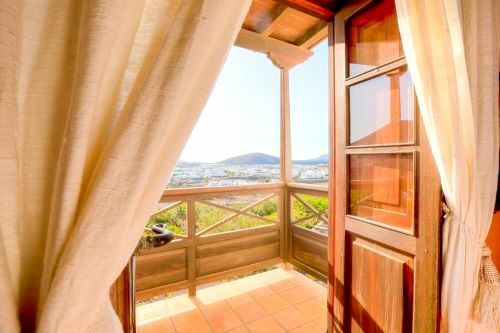 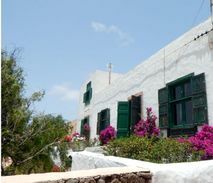 A world away from Lanzarote’s main tourist strips, Casa el Morro is an oasis of peace and tranquillity overlooking the moonscape volcanoes of Timanfaya and lush vineyards that thrive in their foothills. 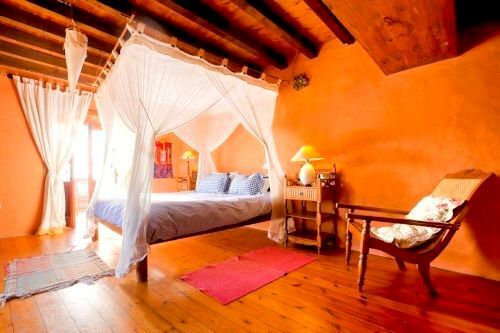 The owner, Rachel, has taken 10 years to transform an 18th century finca into an exotic, boutique cluster of Canarian cottages and a family sized yurt, tucked into a hillside near the whitewashed wine village of Uga, secluded by tall palm trees and jacarandas. Rachel has made it her mission to help frazzled parents completely unwind by laying on home cooked organic breakfasts and leading yoga sessions herself as well as tracking down specialist therapists to offer many different styles of massage and healing Ayurveda treatments. 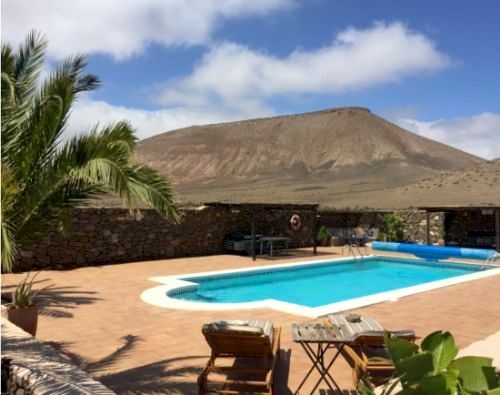 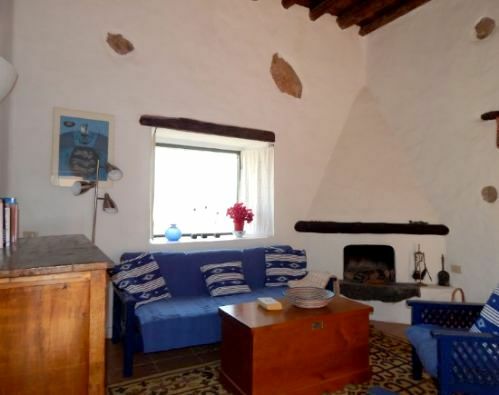 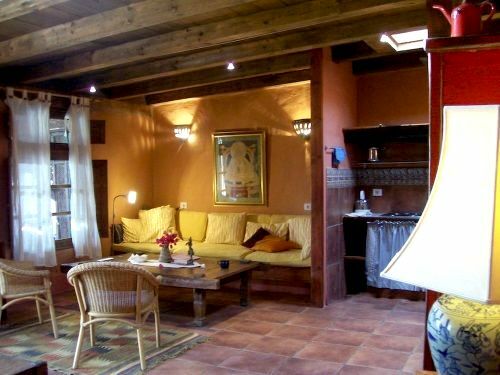 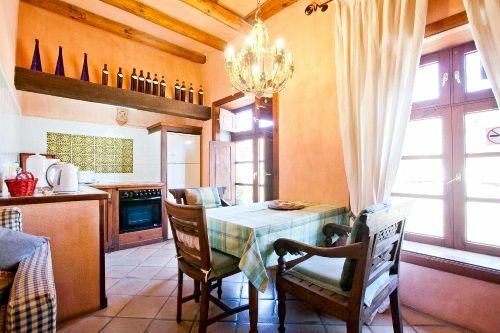 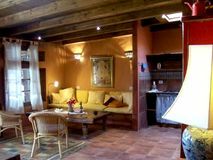 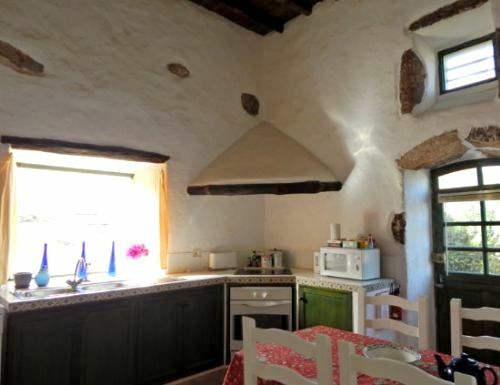 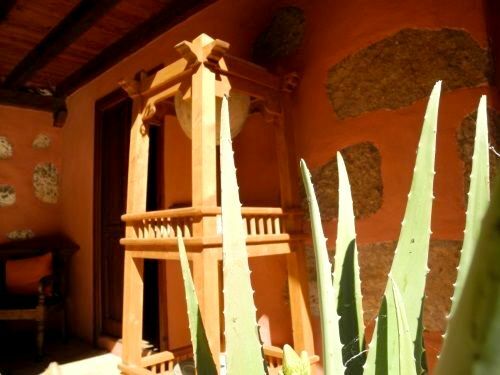 The finca has been cleverly converted into 7 completely individual and self contained cottages set in an extensive garden and grounds, landscaped in the typical Lanzarotian style with BBQ areas and chimineras. 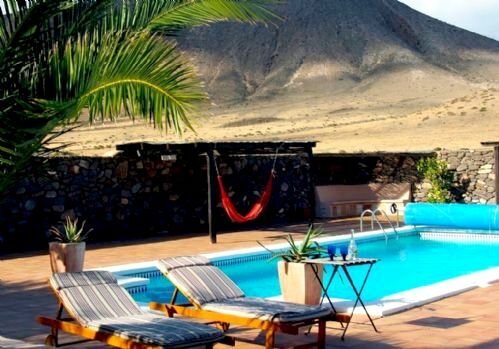 At the centre is a blissful sun-trap swimming pool with luxurious loungers for snoozing in the sun and enclosed day beds for siestas in the shade. 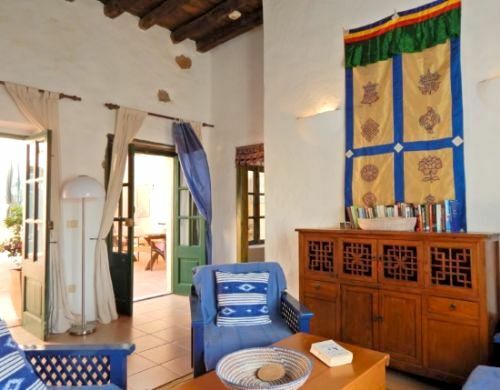 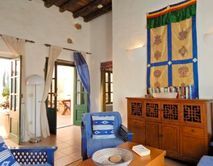 There are distinctly eastern influences in Raquel’s interior design and decor which works really well to complement the traditional Canarian style and almost spiritual ambience of Casa el Morro. 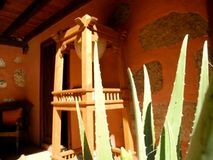 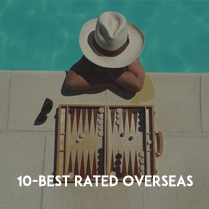 Luxurious Balinese day beds, teak furniture from Indonesia, colourful wall hangings, ornate antiques and wafts of incense on the breeze create a sophisticated setting while each of the cottages and villas have been individually styled and furnished with character and flair. 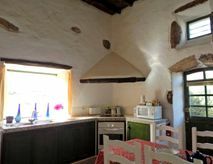 Rachel has also used original and ecological materials to be as environmentally friendly as possible, including natural oils to nurture the timbers of the ceilings and doors, as well as earthy coloured limestone washes for the thick stone walls. 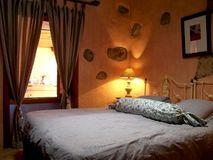 All the accommodation is well equipped for families, with all mod cons including fully fitted kitchens, plasma satellite TV’s, CD players and free Wi Fi plus many have four poster beds and marble finished bathrooms with roll top baths. 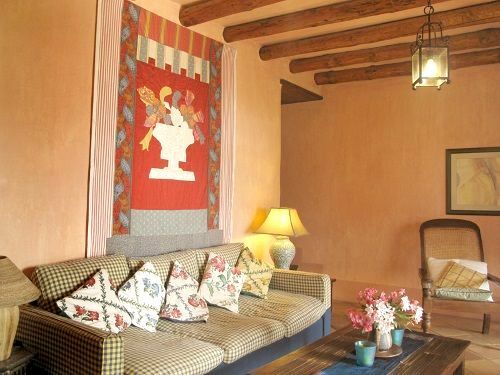 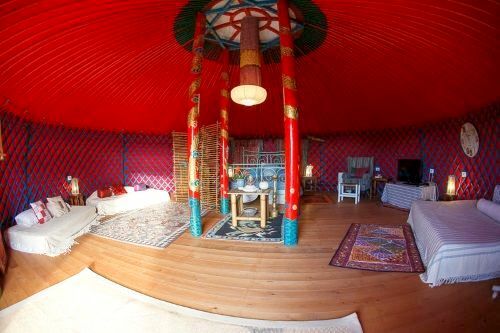 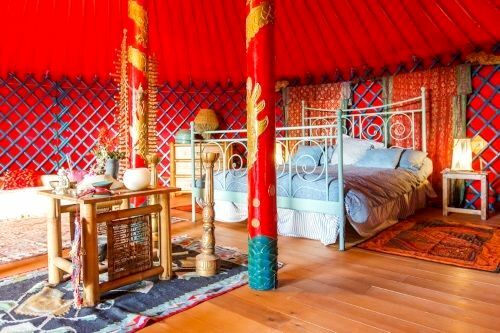 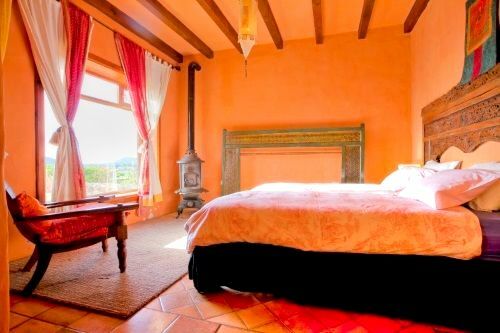 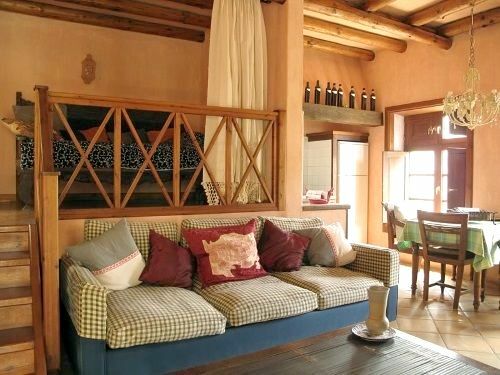 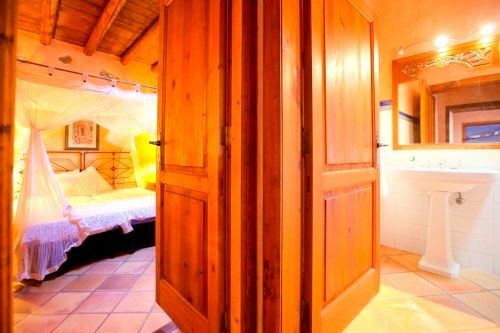 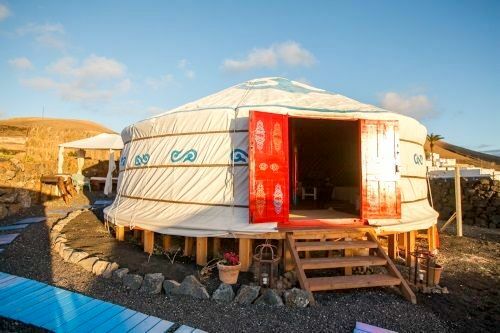 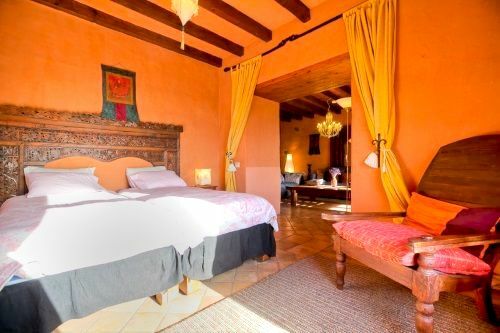 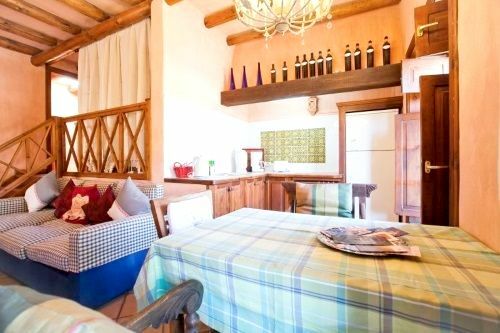 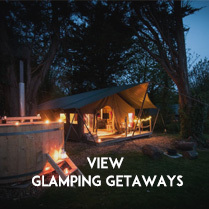 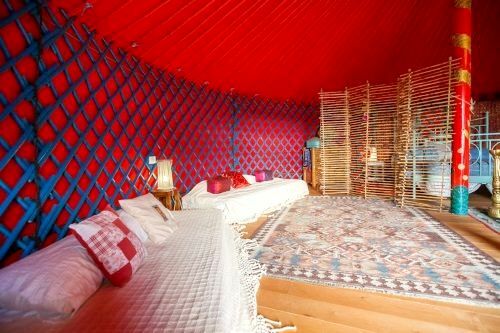 The finca at Casa el Morro comprises 4 cottages for up to 3 people, 1 for up to 5 people, 1 for a couple with a baby and a family-sized yurt for up to 6 people, with cots available in all the accommodation. 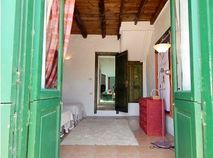 Leo (sleeps 2 plus baby) is just beyond the grounds of the main finca, with walks into the vineyards of La Geria from the doorstep. 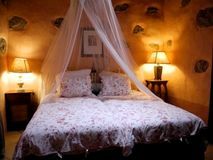 For a couple with a baby, Leo is secluded and cosy, with decorative Javanese furnishings and antiques, a double bedroom with ensuite bathroom and a colonial style terrace. 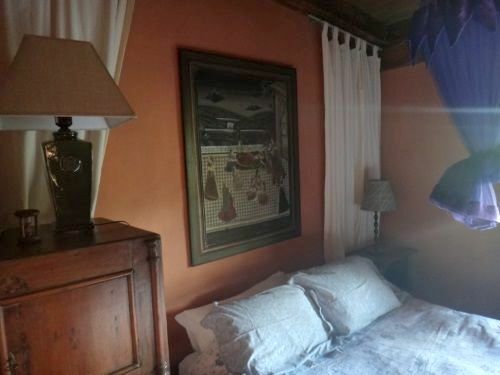 Please note: The price is based on two guests including continenal breakfast. Children 2 or over are charged 15 Euros extra per night plus 6 Euros daily for breakfast. Sleeps 2 + Infant in 1 double bedroom. Beaches are just 10 minutes drive away. 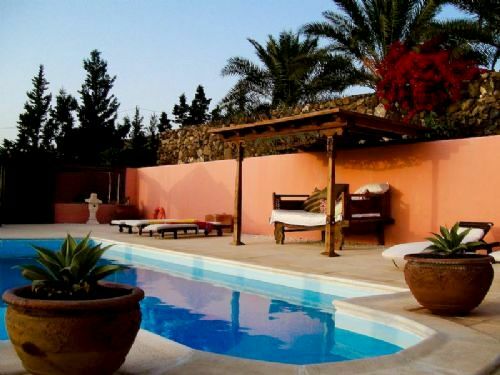 A lovely shared pool, set in an enclosed area with some steps leading down to the pool, sun loungers and Roman steps leading into the pool where little ones can sit and splash. 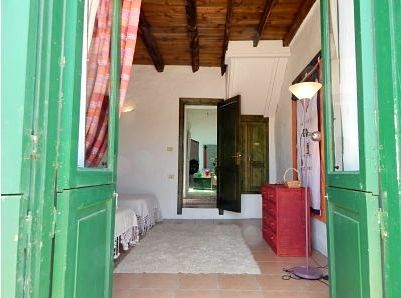 Sauna and a range of spa treatments and yoga lessons are available. 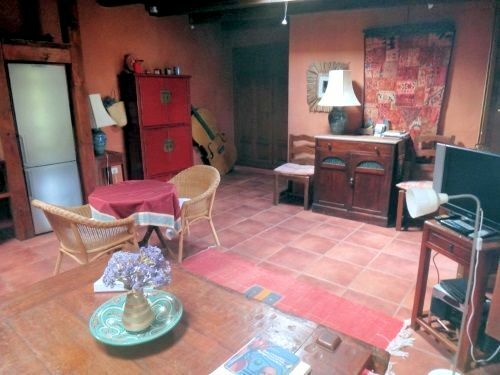 Babysitting is available at 10 euros per hour. 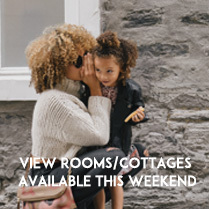 Cots, highchairs, baby bath, baby bouncer, baby monitor, steriliser, potty, stairgates, bed guards, socket covers, plastic crockery, plastic cutlery and sippy cups. 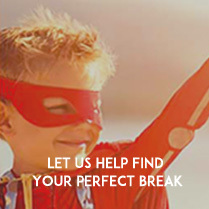 Bath toys, kids books, general toys, U-rated kids DVDs. 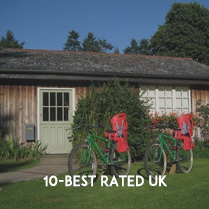 Buckets and spades, ride-ons, trikes, swings, sand pit, paddling pool, play house and a trampoline. There is plenty of space and private terraces including BBQ area. 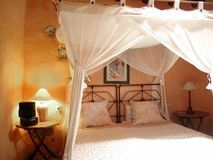 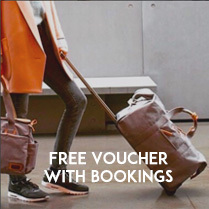 Cleaning and laundry service is available at an extra charge.